Gnomes are popping near you! 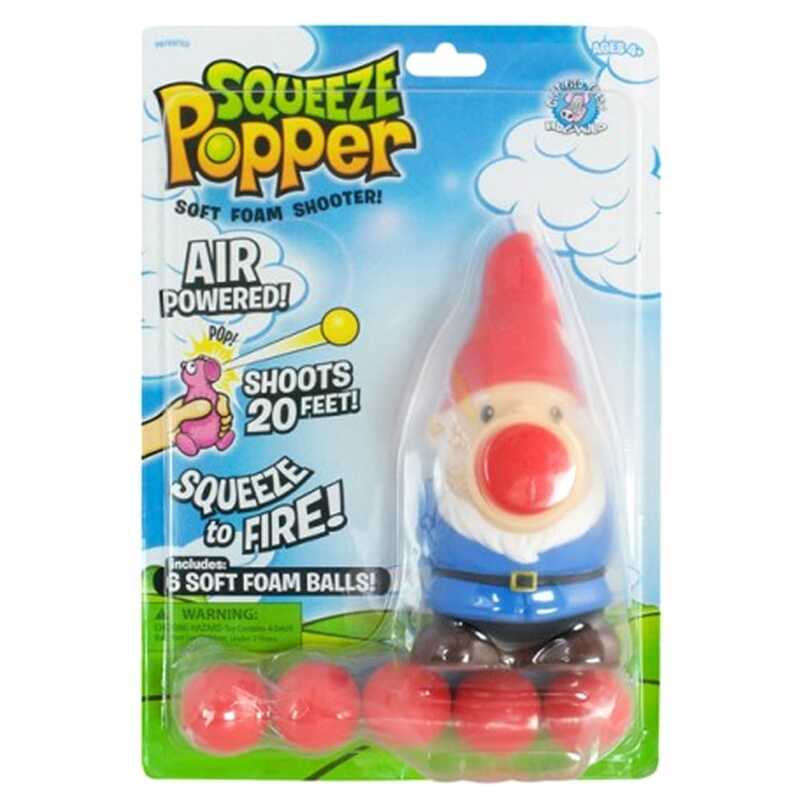 The Gnome Squeeze Popper from Cheatwell Games shoots coloured soft foam balls. Pop a ball in its mouth... give it a powerful belly-squeeze... and POP!... the soft foam ball shoots up to 20 feet! Great for hand to eye coordination and encouraging fine motor skills with fun play. The foam balls are a soft dense foam that will not easily tear or shred and are safe for both indoor and outdoor play, each pack comes complete with 6 balls. Suitable for ages 4 years and over.